Another Duggar wedding is on the way! 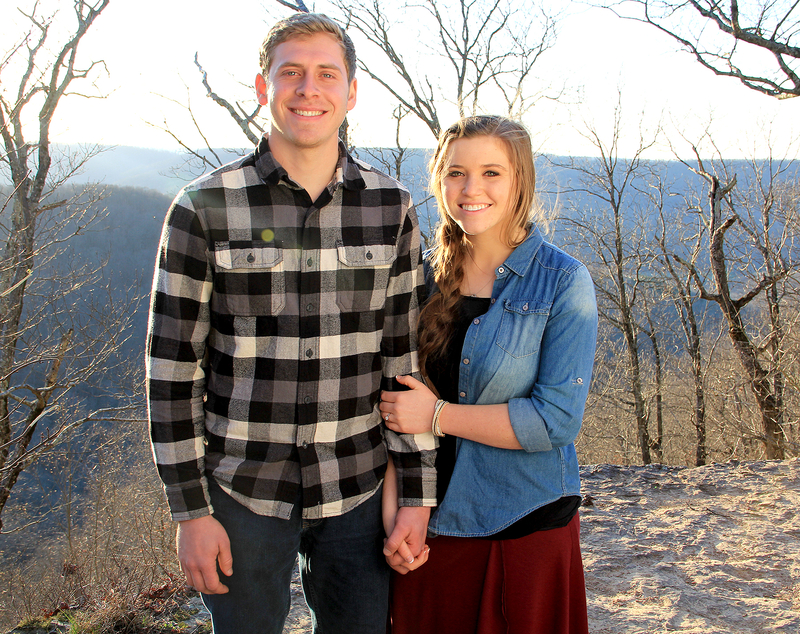 Counting On‘s Joy-Anna Duggar and beau Austin Forsyth got engaged on Thursday, March 2, Us Weekly can exclusively reveal. Watch their announcement in the video above! Counting On‘s Monday, February 27, episode featured Forsyth asking Joy-Anna’s dad, Jim Bob Duggar, for permission to begin the relationship. “Over the years, I’ve been watching, and I really admire her heart for the Lord and her character,” Austin told Jim Bob. “She’s such a diligent worker. She gets all the younger siblings working. She’s a good delegator — and, of course, her beauty.” After hearing this, the 19 Kids and Counting patriarch called Forsyth a “good guy” and said he’d be “honored” to have him start courting Joy-Anna. The family continues to rack up wedding-planning experience. Just 10 days before Joy-Anna and Forsyth announced their courtship, her older sister Jinger tied the knot with former soccer player Jeremy Vuolo in an Arkansas ceremony on November 5. Counting On aired its season 2 finale on TLC on February 27.